Listening is a prerequisite for obeying many other biblical directions. How can we show compassion without first ascertaining what another’s problems are? How can we bear one another’s burdens without knowing what they are? How can we encourage one another without knowing if they are discouraged, and if they are, then why? Such questions could be continued almost infinitely, but you get the point. Listening is foundational to loving others. Being a loving listener not only means that you are willing to listen when approached; it also means that you approach others first because you are interested in knowing them and their story. Church leaders, of all people, should exemplify the fine art of listening – listening to their members and listening for their members. The idea of listening to them is easy to understand, but listening for them is a broader topic. This concept means that we listen to anything that might be of help to them. In other words, how can we serve them better? Leaders are, after all, to be the greatest servants of all according to Jesus (Matthew 20:20-28). Since I am using my home church as an example, let me recount a series of incidents that make the point well. Although I am not on the ministry staff of our congregation, I do get together with our lead evangelist Todd Asaad occasionally. He is interested in my perspective as an older person with a background in ministry and leadership. A couple of years ago, he and I were having coffee together and he asked what I thought could help the church. I mentioned the idea of just seeking more input from the grassroots membership. I likely mentioned several ways that this might be accomplished, but brought up the idea of using a church survey to better understand the needs of the members. I just threw out the idea as one of several, not really expecting Todd to follow up on it. However, by that night, he had called Daren (the evangelist in her local church) and Kelly, arranging for her to come to Dallas to help explore the possibility of doing something similar here with a survey. Suffice it to say, I was once again impressed with Todd. He was listening for ways to help those whom he served. Long story shorter, Kelly came in for several days and met with various leaders. She developed a survey for the Dallas church, and Todd administered it – with a very high degree of participation among our members. Kelly later came back and taught the staff more about how to interpret it and follow up on it. Input groups were appointed to give the leadership regular feedback in several different areas the survey results indicated as important to the church. Another example of listening and looking out for better ways of serving the flock came much closer to my wheelhouse as a teacher. Todd had heard about several churches who were providing more in-depth Bible knowledge through a series of lessons taught by teachers other than the regular minister. Some of those churches had these lesson series taught during the regular Sunday services, followed by a shortened but otherwise normal worship service. In one of our coffee times, Todd asked me to help develop six series of six lessons each. Since I have a teacher development group, that we call “Digging Deeper,” I took the task to them as a way to not only get help with the project, but to use the experience to help them learn more about curriculum development. Two of our main region groups in Dallas have completed the series and the third is in the process of having it taught now. Todd had several from our DD group do the teaching at his region first, as a sort of pilot program. Afterwards, he asked for input from us in designing a survey for his region to find out how effective they thought the series had been. Since the feedback was very positive, he then asked me to use the DD group in developing the next six lesson series, which he wants to have taught in the fall of this year. He also came to our last DD group meeting (we meet at various intervals, depending on the needs before us, and we have teachers from each of the ministry regions). To use his term, he likes to “touch” all sorts of different groups in their regular settings just to get a feel for how they are doing. His input into this meeting was very helpful. He has a Master’s degree in Bible himself and is a good student of the Word. So there you have it – good examples of both listening to others and listening for others. The shepherds must know their sheep. As already stated, the results of the congregational survey led to the development of several input groups. After the increased emphasis on racial issues just over a year ago, another input group was formed for giving feedback in the racial relationship realm. But there is more, and a very exciting addition to be sure. 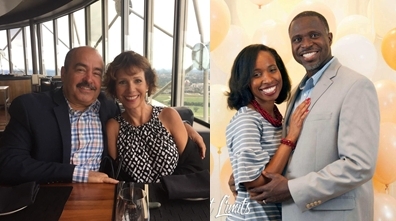 The Dallas church has been especially blessed in two ways regarding this latter realm: one, our leadership is proactive in helping our interracial relationships; and two, we have an expert in racial diversity training as one of our members. Marcos Pesquera is the primary racial diversity trainer for a health organization, CHRISTUS Health, which has 60 hospitals operating in a number of states in the US and in several countries in Latin America. He is thus responsible for helping their 45,000 employees know how to best serve their patients, most of whom are either racial minorities or financially disadvantaged or both. Marcos’ task is to help his organization understand the data from a number of sources in order to assess the chronic conditions that are decreasing life expectancy and quality of life in the communities that they serve. He says that they always find that racial and ethnic minorities are the most affected by chronic conditions, such as black stress, lack of organizational resources as well as a lack of health literacy and lack of trust. These are but a few of the causes of health disparities that his organization faces and must find solutions for. Additionally, his department also focuses on increasing the number of minorities in the executive suites, as well as helping teams work more effectively through inclusion of diverse employees, thoughts, levels of education, etc. Pierre Saget and I were privileged to run two practical workshops for the church, starting with the leadership. This group included evangelists, interns, women’s ministry leaders, as well as elders and church office staff. A month later we did a training for all our 120 singles in the singles ministry as their monthly devotional gathering. We shared what the healthcare field is currently doing in order to mitigate the effects of racism and discrimination that affects our communities’ healthcare outcomes. We explained the personal unconscious biases that can affect the way care providers care for people, and also the institutional racism that needs to be identified and changed. These barriers must be removed for all our communities and populations so that they can experience equal access to opportunities that will enable them to live healthy lives. I split the church groups into small teams that were diverse in terms of race/ethnicity and gender. I gave them a set of questions that promoted very deep conversations around these issues and how they view them, affecting them and how they felt from both sides of our racial differences. We touched on white privilege, and also on how both sides need to provide a safe/therapeutic environment for all to freely express the impact of these issues in their lives. While it got emotional, it was extremely therapeutic and all groups were able to express themselves in a safe environment. We concluded in the end that addressing these issues is a journey, and that a lot more communication, understanding, humility and trust needs to be built as we come a step closer to being more like our Jesus. The bottom line is simple. Talk is cheap if all that we do is admit that our members of color may be feeling far more than we may yet realize. They need to know that we care enough to take action – actions that provide more education for our white membership and more opportunity for our members of color to feel understood. Love listens and love shares from the heart. I’m not saying that everything our black members feel is accurate, but I am saying that it is real. Whatever they may need help dealing with from a biblical perspective will be much easier to accept if we have first listened and seriously sought to understand their “world.” The racial realm is one of the most sensitive among us right now, and we all need help. That help begins with a mutual understanding of where we all are in our grasp of the issues and continues with growing in our abilities to apply the principles of Jesus to them. Thank God that he put me in a place where our leaders are not only listening; they are taking action and making an impact. Please join them in seeking ways to strengthen interracial relationships in your congregation!